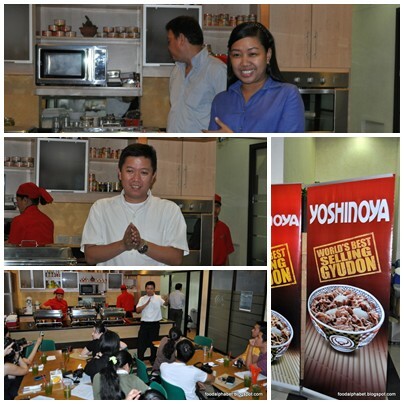 A group of foodie bloggers were invited to sample Yoshinoya's new offering for the Lenten season. We were treated to a showcase of foods, delighting our senses with the wonderful scent of their new creations. It was a one of a kind experience, as we were shown the way, why Bangus, the national fish of the Philippines, can be made so versatile. With so many bangus breeders in the market today, one stands out and I believe is the best in terms of quality and freshness, and that is Century Bangus. 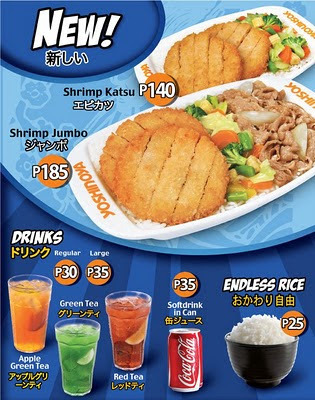 Yoshinoya, the best Japanese fast food chain in the country, and known nationwide because of their famous beef bowls "Gyudon", and also under the stewardship of Century Pacific Corp. which is the maker of Century Bangus, teamed up to make Bangus, a favorite amongst Filipinos, an extraordinary part of the Filipino palette. 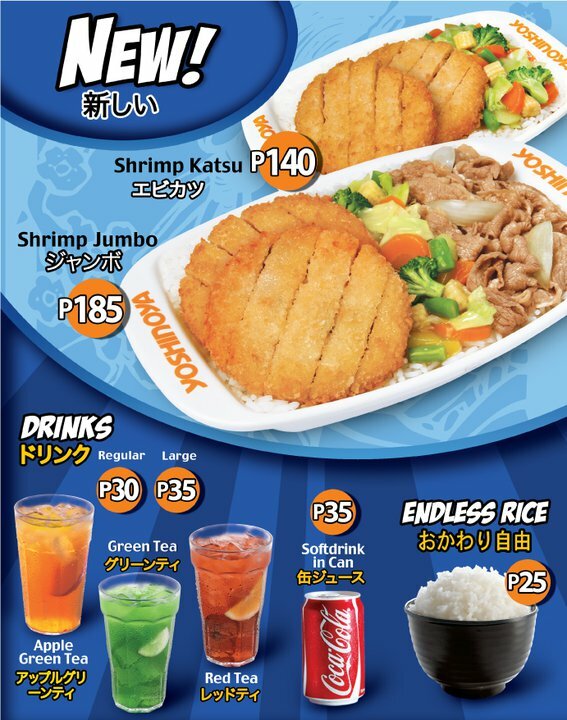 And thus with that in mind, along came.... Yoshinoya's Century Bangus Kabayashi. This is one Bangus dish, I would definitely be back for, affordably priced and definitely a good deal. The bangus was so firm and fresh and no soiled taste. It is lightly breaded, deep fried and mixed with special Kabayaki sauce, served atop steamed rice with beansprouts. Normally bangus dishes only pass by me, but having a taste of this made me realize one thing. It is always best to give food another try. What might not taste good for you now, might be your favorite food the next time around. Next up, from last year's line up of Lenten treat comes Shrimp Katsu (P140). It is deep fried breaded shrimp patties with mixed vegetables served in a jumbo plate. You can also get this at P185 in Jumbo plate with Beef Bowl. Well, if you don't like bangus then you can go for this, but for me personally, I don't like eating patties of any kind at all that you blend with rice, It just doesn't seem to match. But for this, I would say just order the Bangus Kabayashi, you will never go wrong with it. 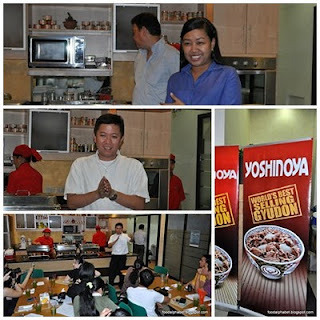 The Chefs of Century Culinary Circle together with Yoshinoya also featured to us the versatility of the bangus in 3 specially made dishes that night. Starting off with Century Bangus Salad with caramelized pear and walnuts. Had a unique blend of herbs and spices which made it more flavorful. Add the fresh bangus cubes made it all the more perfect. Next up is Century Bangus and Kani Burrito. It is really a delight for me to see the creativity of the Filipino in making dishes, and it amazes me how a simple bangus can be made to be such a flavorful dish as this is. It goes to show how the Japanese culture has been infused into our cooking. Italian-inspired pesto creation, delicious pasta and of course tasteful bangus. Thank you Yoshinoya and Century Pacific Corp. makers of Century Bangus, and special appreciation for Ms. Rowena of http://animetric.blogspot.com/ for inviting us over for a wonderful night of food and discovery. Lastly, I would like to let you know that other the Century Bangus Belly line, which is used in making the Bangus Kobayashi, there are also Century Bangus Chunks, Century Bangus Sisig, Century Quality Premium Boneless Bangus and some variations that include Century Quality Premium Boneless Bangus Tocino. The Bangus tocino I have tried and testifies, is one I'll be putting on my shopping list from now on. All these are now available at your favorite groceries and supermarkets. So grab one now and taste the freshness of Century bangus. You will always crave for more.